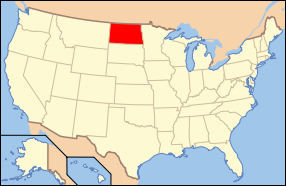 On November 2, 1889, North Dakota and South Dakota were admitted to the Union as the 39th and 40th states. The first European explorers, Louis Joseph and François de La Vérendrye, entered the region in 1742 and 1743. At that time, at least eight Native American tribes populated the vicinity including the Mandan, Arikara, Kidatsa, Assiniboin, Crow, Cheyenne, Cree, and the Dakota (Santee Sioux). Other than through fur trapping, exploration of the Dakotas by European-Americans was practically nonexistent prior to the 1803 Louisiana Purchase. In 1804, the Lewis and Clark Expedition wintered in present day North Dakota. 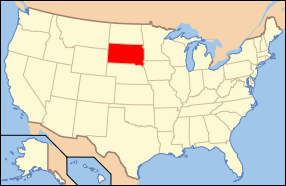 An increasing population caused Dakota Territory to be divided in half and a bill for statehood for both Dakotas titled the Enabling Act of 1889 was passed on February 22, 1889 during the Administration of Grover Cleveland. His successor, Benjamin Harrison, signed proclamations formally admitting both states on November 2, 1889. Harrison had the papers shuffled to obscure from him which he was signing first and the actual order went unrecorded.